Have a Safe and Luxurious Bachelor/Bachelorette Party! You only get one Bachelor or Bachelorette party, so you should to make the most of it. After months of stressful wedding planning, you have earned an evening out to enjoy yourself with your closest friends. Alert Transportation is the leading provider of party bus limos for New Orleans bachelor and bachelorette parties. We provide top quality limo service. We have packages designed for all group sizes and budgets. Prom is a major life milestone. It definitely ranks up there with weddings and graduations as a day to celebrate. However, prom transportation does not need to be a source of stress for parents or teens. Alert Transportation offers New Orleans prom party bus packages, to help your teen have a safe and memorable experience. We offer the best rates and value on party bus service in New Orleans, and specialize in creating a stress-free evening for parents. 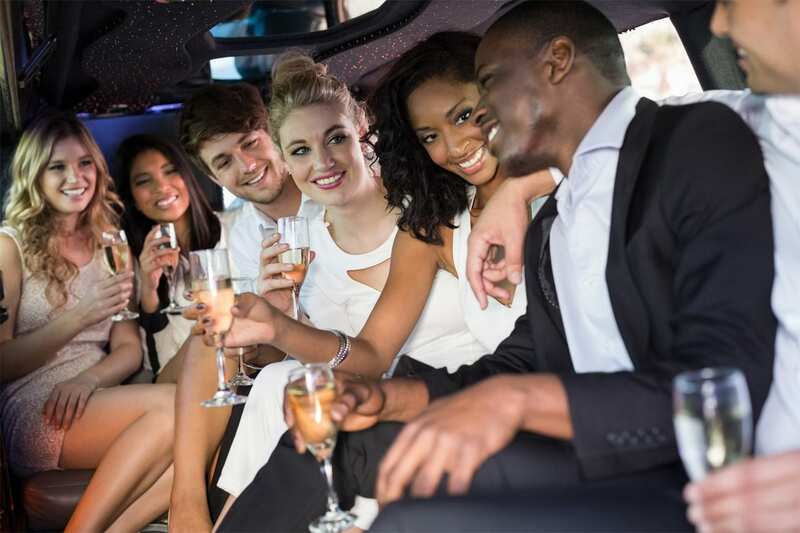 So whether you are having a night out on the town or planning a bachelorette party or birthday party, Call Alert Transportation to make sure your night is a safe one. Our phones are answered 24 hours a day / 7 days a week.